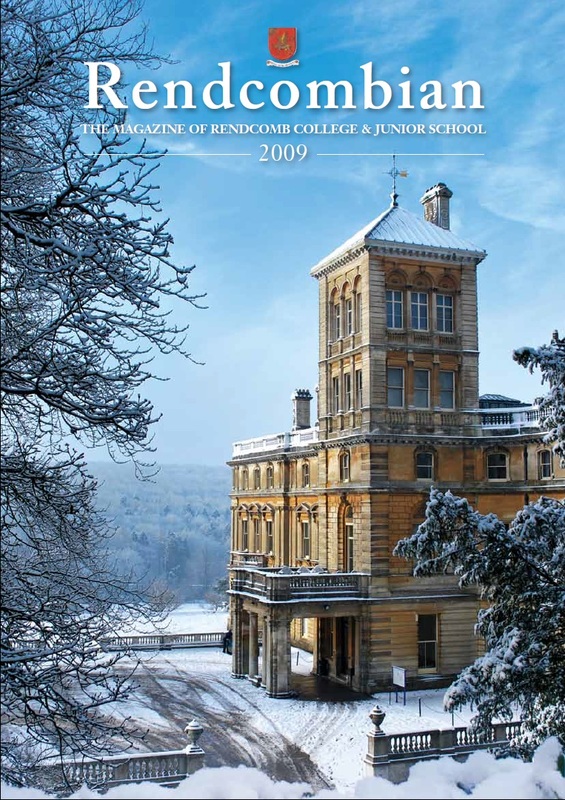 All Rendcombian Magazines , previously known as the Rendcomb College Chronicle or Rendcomb College Magazine , are available below. 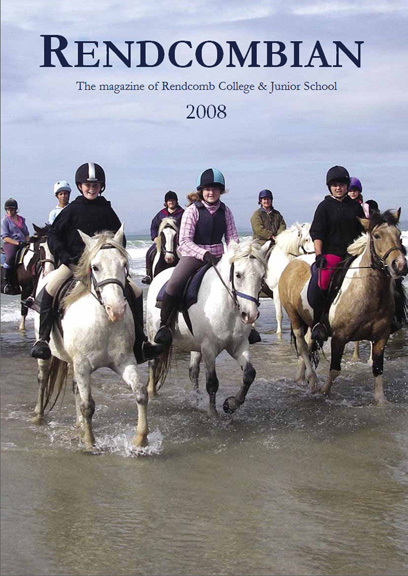 Since 1983, the Magazine has been known as The Rendcombian. 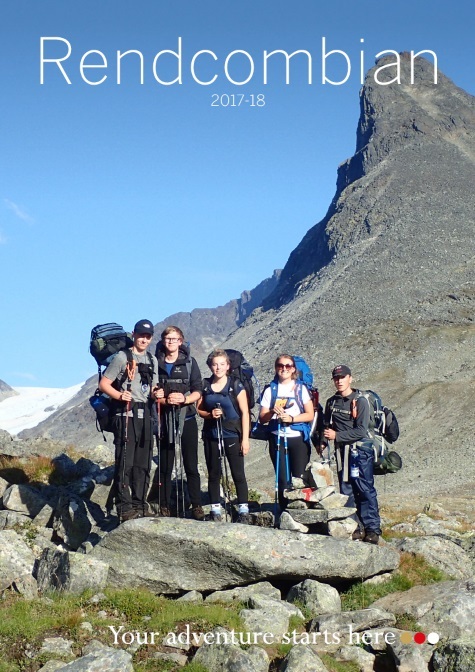 Click on the date and the Magazine Pdf document will open in a new tab. Note: Some Rendcombian Magazine files are quite large and may take a while to load. You can easily find information in this online archive. 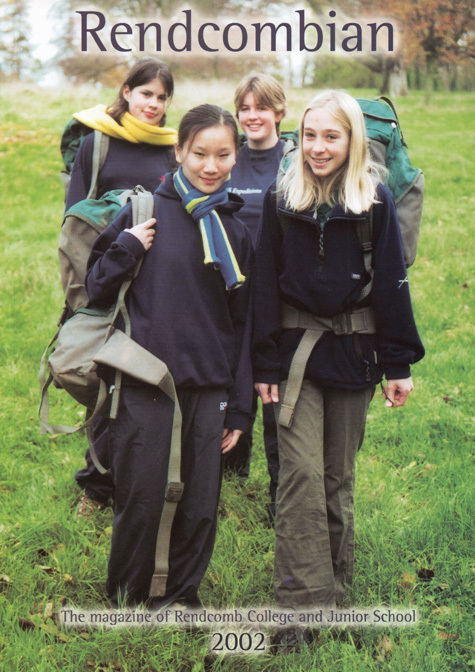 Use the local Search page to look for specific information on this website. It which will find sections within these publications. Open the Pdf document using the link, then use the Acrobat Search option or Ctrl F to search within the Pdf document. 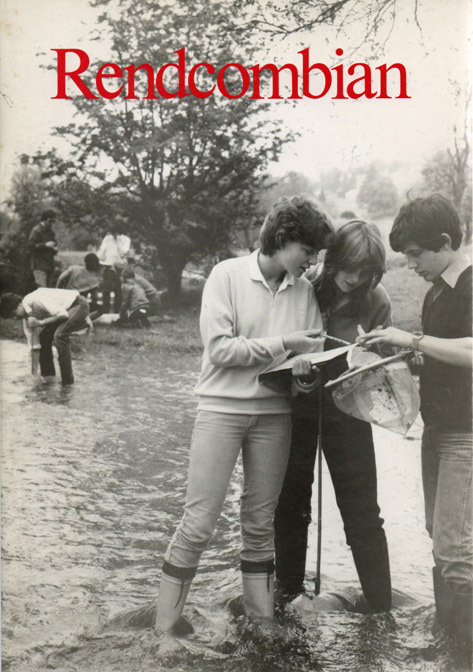 A chronological history is being completed as the archived Magazines are processed and published to the website. 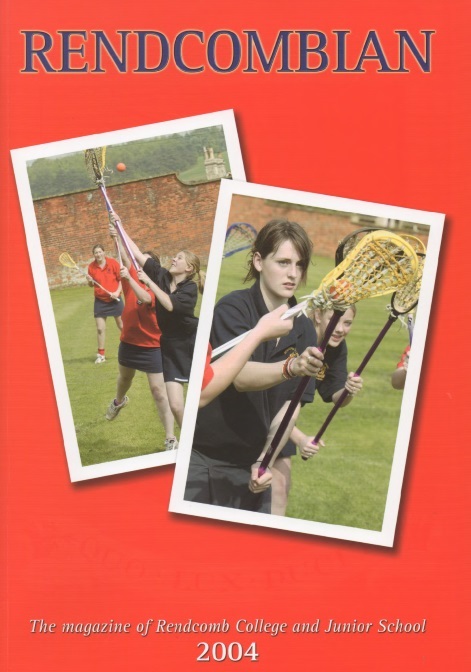 Magazines are published in Adobe Acrobat Reader Pdf format. 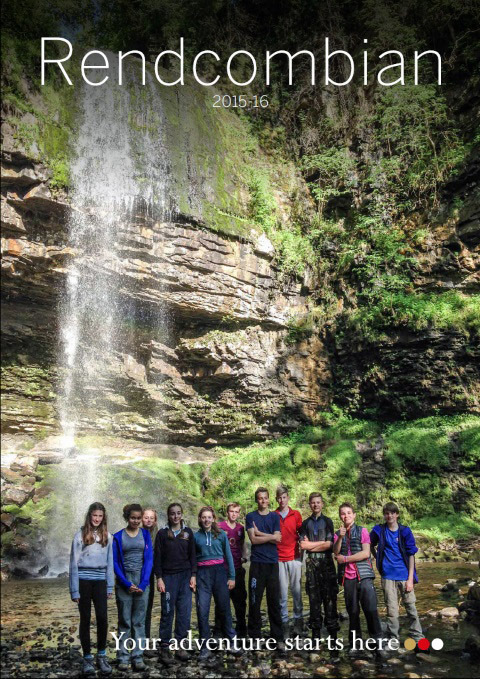 or get the free Adobe Acrobat Reader from the App store for your device. 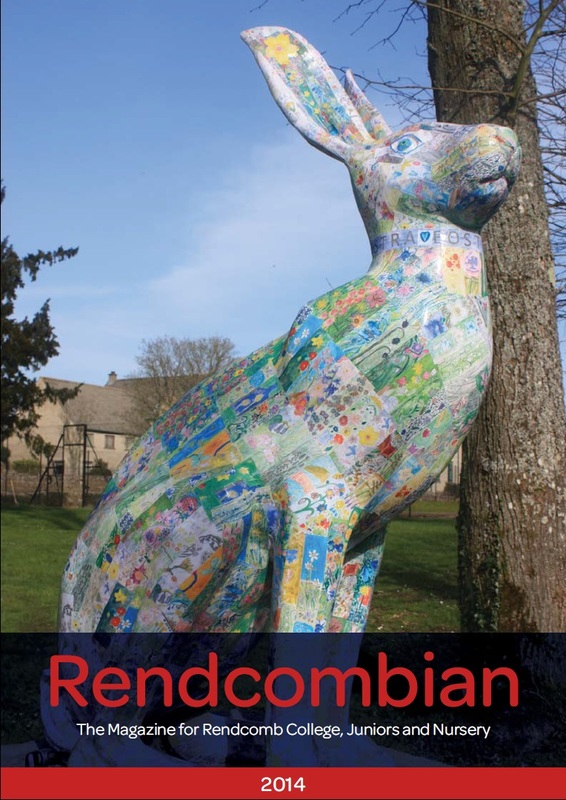 Rendcombian Magazine 2017-2018 (A4 reading format) (20Mb) 62pp. 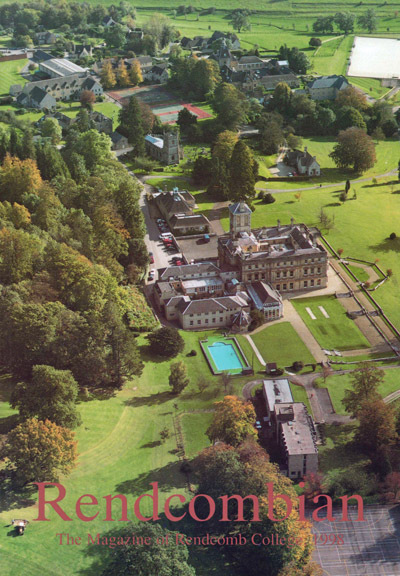 Reproduced by kind permission of Rendcomb College. Rendcombian Magazine 2016-2017 (A4 reading format) (25Mb) 64pp. 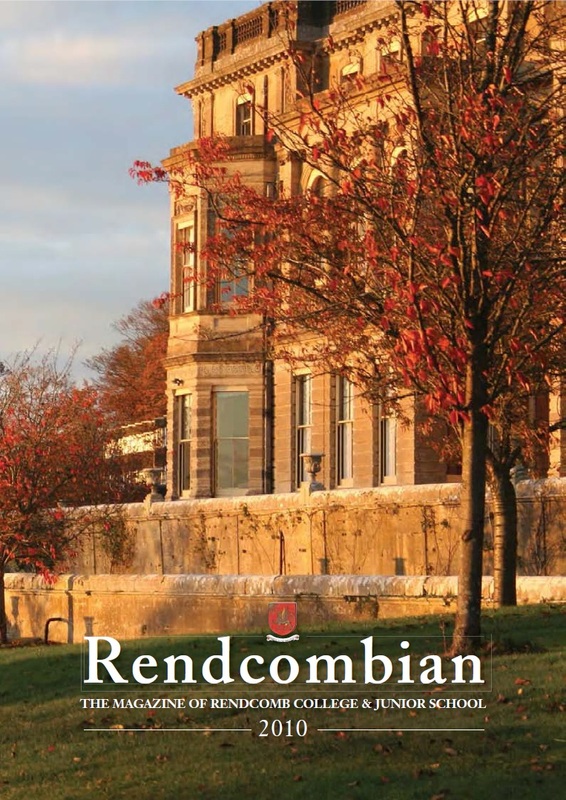 Rendcombian Magazine 2015-2016 (A4 reading format) (8Mb) 64pp. 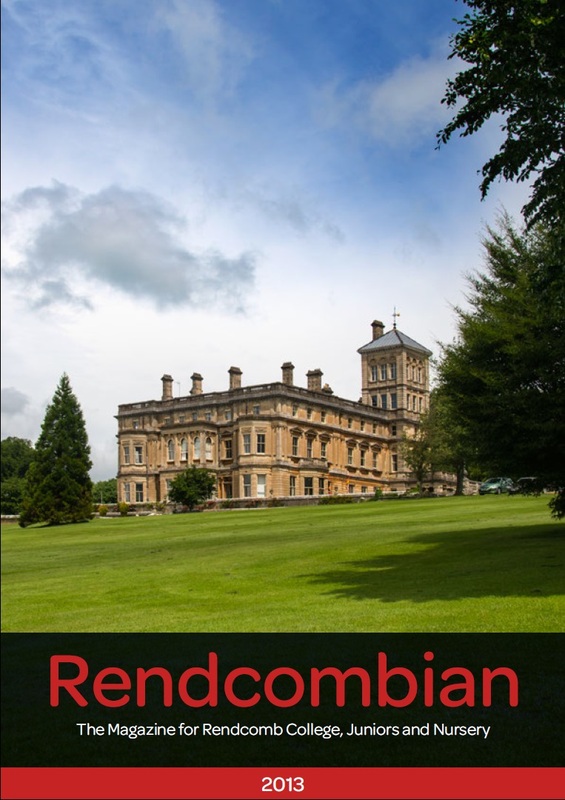 Rendcombian Magazine 2015-2016 (8Mb) 62pp. (Contains A3 size landscape pages). 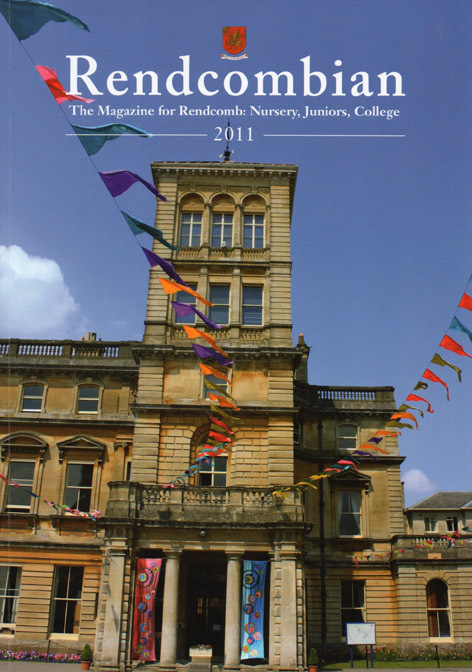 Rendcombian Magazine 2011 (24Mb) 110pp Headmaster Gerry Holden hands over to Roland Martin. 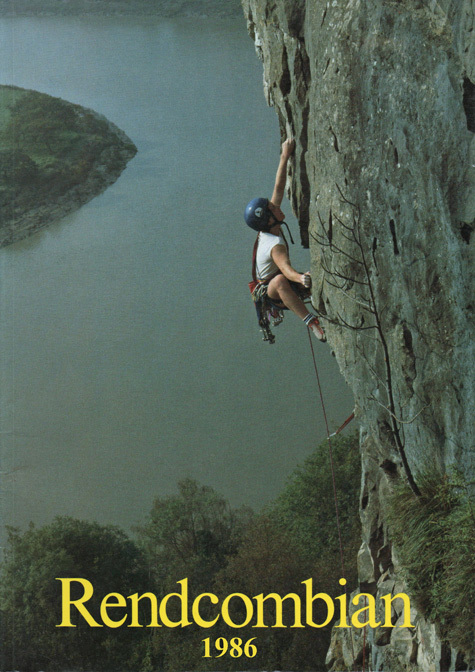 Write up of Gerry and Liese Holden's time. Founder's Day guest speaker David Tyler; College Chaplain Rev'd Simpson reflection; House Reports; Dance Theatre and Drama reports; Plays - Hair Spray, Skellig; Music Rock, Ukulele and Classical; Trip to Paris, Cotswold Wildlife Park, Black Country Museum, Krakow & Berlin, Normandy; MAD week; Maths challenge; Junior School Ball and Alice in Wonderland; Duke of Edinburgh's; Sports: Riding, Javelin, Lacrosse; Rugby, Hockey, Cricket, Tennis; Junior School Art, Drama and events. 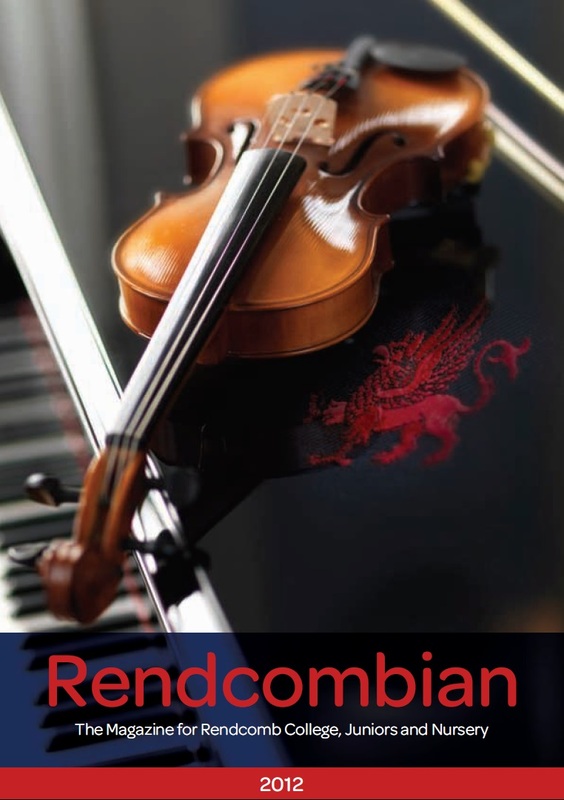 Rendcombian Magazine 2007 (12Mb) Retirement of Bobby Morgan HM 1990-2007, Plays: Amadeus, Aladdin, Honk. 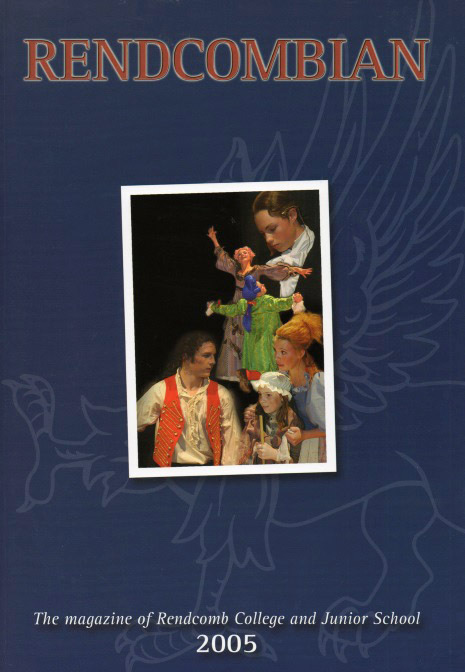 Music Handel's Messiah, Jazz and Rock bands, Opera, Chamber Choir. 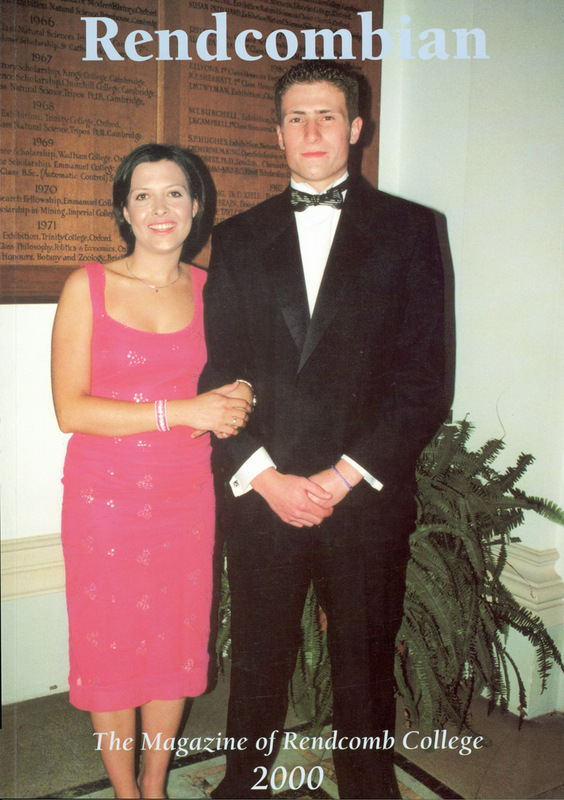 Maharajah Ball. All Sports reports. 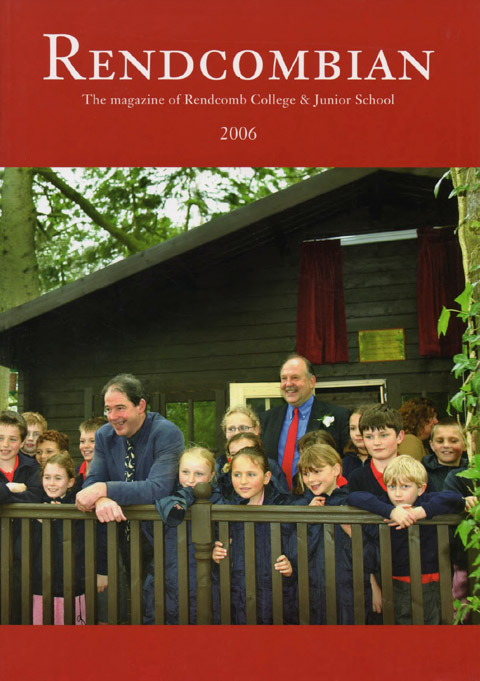 Rendcombian Magazine 2006 (21Mb) 112pp HM Report and Founder's Day; Guest Speaker - Jonathan Porritt; Historical Churches Cycle ride; Shropshire Expedition; Lords and Ladies Ball; Into Africa report by HM; School Trip to Germany; Drama - Jesus Christ Superstar, Amadeus, Return to the Forbidden Planet and Tour; Art Exhibitions & Trip to Paris, Indian Block Printing; Music - Requiem to Rock; Field Trips - Cheddar, Chepstow; Brize Norton; Barbados Cricket and Hockey Tour; Sports Fixtures and Results - Rugby, Hockey, Cricket, Lacrosse, Riding; Polo; Rounders, Athletics, Golf, Shooting; Individual Achievements; Duke of Edinburgh; Leavers, Farewells and New arrivals; Academic Results; Photography Competition; Junior school - Art, Activities, Drama and Fun. 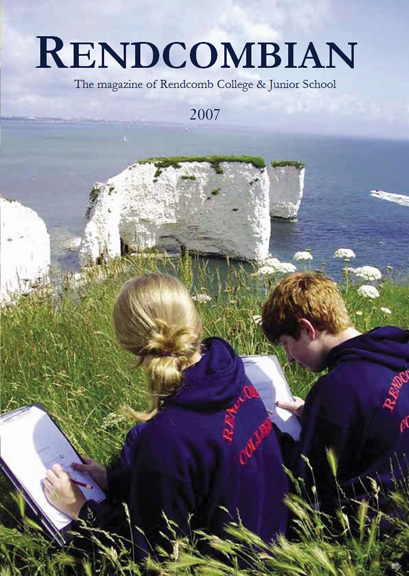 Rendcombian Magazine 2005 (12.6Mb 108pp) Headmaster's address by Gerry Holden; Guest Speaker Prof. David Leaver; House Reports; Junior Charity Ball; Drama Les Miserables and Daisy pulls it off; Saturday Night Fever; Music - Classical, Choral, Jazz and Rock; Academic Results; Art exhibitions - Senior and Junior; Biology and Geography field trips; Outings - Stratford The Tempest, Gloucester Crown Court, Imperial War Museum; Public Speaking; Sports fixtures and Results - Rugby, Hockey, Cricket, Tennis, Cross country, Lacrosse, Netball, rounders, Athletics, Riding, Clay shooting; Ski trip to Switzerland; Venetian masquerade, Sixth form BBQ; Staff leavers: Julia Morris, Richard Lester. 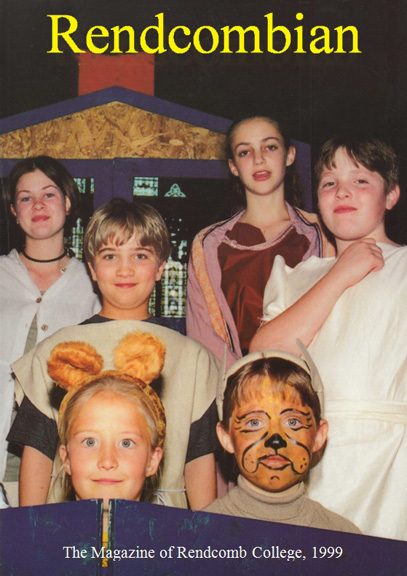 Rendcombian Magazine September 2004 (12Mb) HM Report from Gerry Holden, Founder's Day guest speaker Sir Crispin Tickell; Retirement David White Director of Music; New Staff -Andrew Gunning, Penny Clements, Hugh & Rosalind Marsden; College and House reports; Chinese New Year, Gatsby Evening, Talent Quest; Creative Arts - Bouncers and Shakers, Oliver, Equues, The Crucible; Arts Gallery; Public Speaking; Reports from India and Uganda schools; Interview - Commdr Hodgkinson RN (Helicopter); Travel Bursary - Chris Jeffreys; Snowdrops at Rendcomb; Theatre Club; Sports fixtues and Results; Junior School report, activities and results. 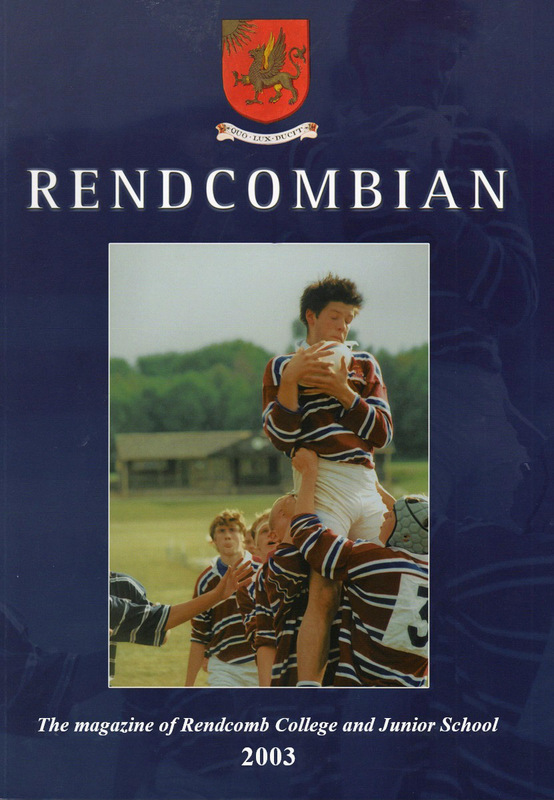 Rendcombian Magazine 2003 (12.6Mb 106pp) Headmaster's address by Gerry Holden; Staff Leavers Peter and Jane Sykes; HM visit to Japan; House reports; Charity Ball, Rock Concert, 007 Night; Plays - Little Shop of Horrors, Dangerous Liaisons; Arts Gallery; Sports Reports - Soccer, Cross country, Clay shooting, Bowls, Duke of Edinburgh; Academic trips - Science Fair, Natural History Museum, Snowdonia, Faraday Lectures; Dublin Hocket Tour, Val D'Isere Ski trip, Adventure weekend; Plays; BSES expeditions; Sports fixtures - Rugby, Hockey, Cricket, Netball, Tennis, Athletics, Golf; Junior School reports - HM Martin Watson and Lynne Watson. 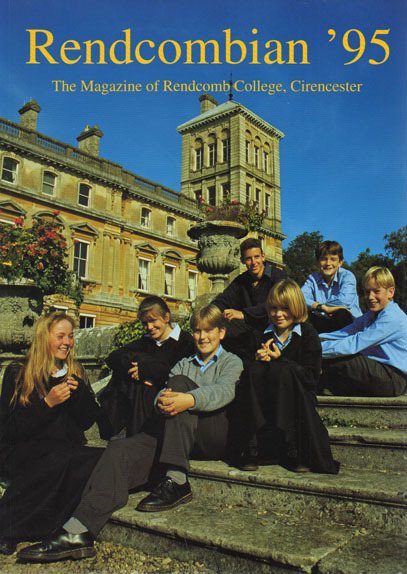 Rendcombian Magazine September 2002 (20Mb) Staff changes, HM Report fom Gerry Holden, First College website, House reports, 70's Party and DIsco, Drama: One Flew over the Cuckoo's nest, Bugsy Malone, Theatre club Shakespeare plays, Rock Concert, Sports fixtures and results, Italy tour, Duke of Edinburgh Awards, Outings and Germany trip, 1st XI Cricket Tour to Malta, Junior School activities and reports. 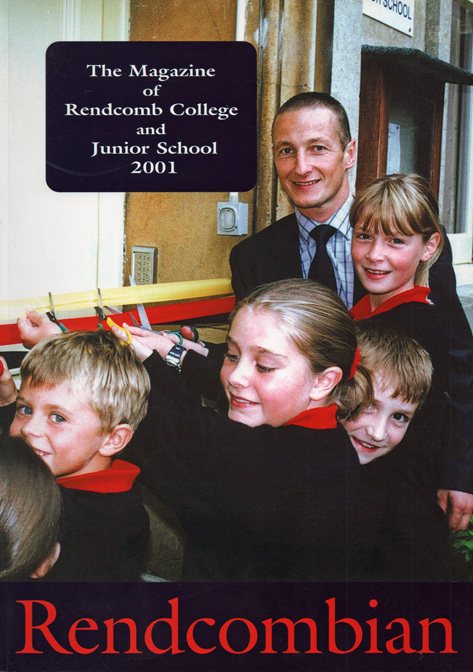 Rendcombian Magazine 2001 (19Mb) 104pp G. Holden HM report; Opening of the Junior School, College scaffolding; Article on HTG Price founder member of the school in 1922; Drama - Diary of Adrian Mole; Theatre Club - Richard III; Orchestra and Band concerts; Japan 2001 festival; Talks - Kosovo, M Hastings BBC, Sir Donald Maitland; Interview with Richard Dunwoody MBE; Academic Outings - National Science week, Bristol, Natural History Museum, Alsace, Imperial War Museum, Bristol Zoo; Excursions - Cats; Sports; Rugby, Hockey and Cricket and Jersey Tour, Netball, Tennis, Rounders, Shooting, Cross Country, Bowls; Duke of Edinburgh Scheme; Junior School first year report - Activities, Play - Joseph and the Amazing Technicolor Dreamcoat; Awards and Team sports. 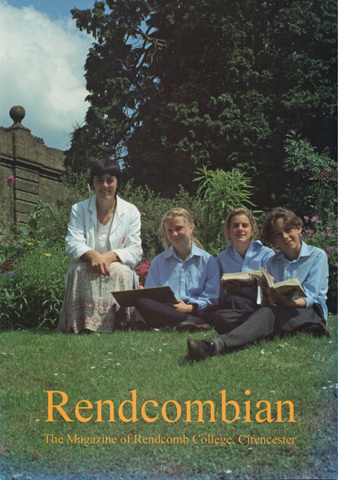 Rendcombian Magazine September 2000 (12Mb) 92pp Staff Leavers: Tom Denny, Hamish Auld, Judi Stocks, June Kampe and Sue Pitt; Obituary of Sir David Wills CBE, TD; HM Report from Gerry Holden; Death announcements: David Sells, Maj. Peter Birchall; Founder's Day HM Report and Guest of Honour Prof. Prestwich; Special Achievements Section; Ashley Hermitage, Charles Crisp, Hannah Ewing, James Spackman, Paul Bongiovanni, Anna de Lisle Wells, Rebecca-Claire Demczak; Drama - The Crucible, Annie; Othello at Stratford, Les Miserables; Music Concerts and Band Day, Choir and Russian Boys' Choir visit; Fashion Show; Science visit to Futuroscope France, Millennium Dome; The Wilson Sundial; Duke of Edinburgh; Excursions - Annecy France, Bonn Germany, Cheddar Gorge and Slimbridge, Wimbledon, Snowdonia, Bristol Zoo, GCHQ and Aston University; Sports Fixtures: Rugby, Hockey, Cricket & St Helier Tour, Clay Shooting, Lawn Bowls, Netball, Golf and Tennis. 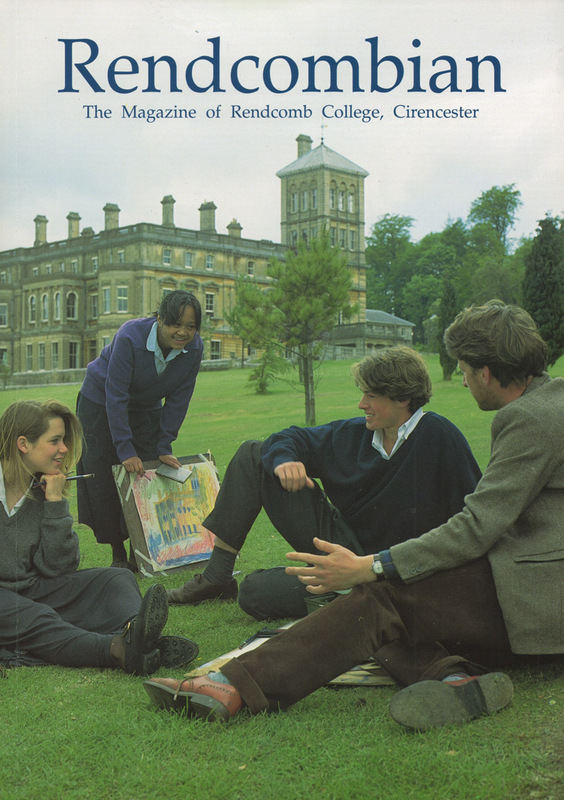 Rendcombian Magazine September 1996 10Mb Review 'History of Rendcomb College Vol 2', Founders' Day Guest Gen Sir Michael Rose, Obituaries: Kathleen James, Peter Sudbury, 75th Anniversary Woodwork and Craft Exhibition in Dulverton Hall, Plays: The Comedy of Errors, Money Mad, Fashion Show, Rugby Tour to Canada, Hebrides Colonsay Field trip. Travel: Madrid, Germany, Sports Reports. 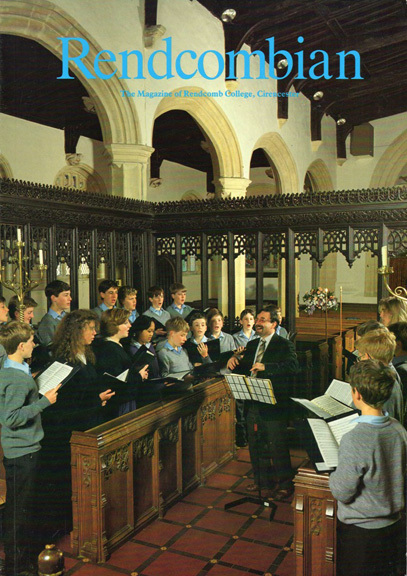 Rendcombian Magazine September 1994 12Mb 84pages Review of the year, Library improvements, Founder's Day Guest speaker - Sir Michael Angus, Music - Carmen, Qp Concerts, Arts - Guys and Dolls, Charity fund raising for Diocese and Barbados cricket tour, Outings - Jodrell Bank, Rutherford Appleton Laboratory, Macbeth, The Tempest, Henry V, Sports Reports - Rugby, Hockey, Cricket, Tennis, Archery, Shooting. 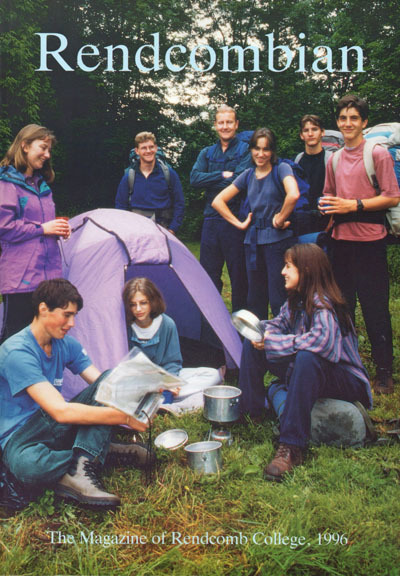 Rendcombian Magazine September 1993 (11Mb) 88pp Chairman of Governors Torqiol Norman hands over to Allan Wyatt, Retirement of David Hawkswell and Charlotte Holdaway, First time Junior Girls join the College, Repair of College roof and chimneys, Founder's Day Guest of Honour Lord Charteris of Amisfield GCB, GCVO, QSO, OBE., Talks: Visit to Outer Mongolia, Engineers, Understanding Industry, The Schuh twins - Enno and Theda, Reminiscences - David and Joan Essenhigh, John and Anne Holt, Plays: After liverpool, Oliver!, Recitals: Philip Martin Piano, David Ponsford Organ, John Rowlands-Pritchard Voice, Sponsored Walk C raised £4,250, Visit to Oldbury Power Station, outings: Paris, London, Theatre: Antony and Cleapatra, Hamlet (Kenneth Branagh), Juno and the Paycock, Return to the Forbidden Planet, Duke of Edinburgh Gold - Dartmoor, Ridgeway Ride, Canal Holiday '93, Annecy France Exchange, Slimbridge, Sports Fixtures - Rugby, Hockey, Cricket, Netball, Tennis, Archery, Cross Country, Fishing, Judo and Squash, Art coursework, Photography and one of HRH The Princess of Wales (Thorpe Parke). 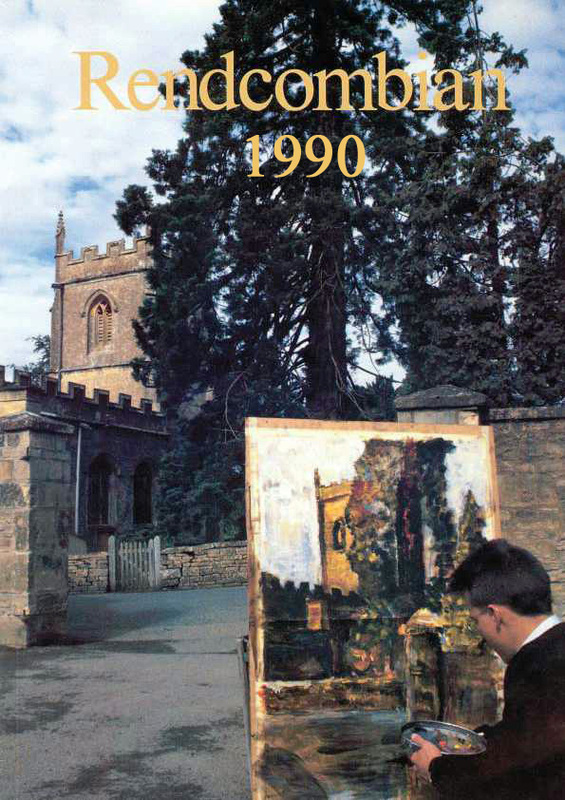 Rendcombian Magazine September 1992 (12Mb) 88pp Obituaries: Col Sir Martin Gibbs and Lord Dulverton; Profiles: Michael Slark, Ian Patterson; Founder's Day - Guest of Honour Mr Martin Rogers MA; Talks: Radon, BBC entertainment; Hustings and debates; Art works and Plays - Twelfth Night, Bugsy Malone; Stratford Theatre - Taming of the Shrew and Julius Caesar; Rendcomb Airfield reopens; Sports fixtures and Results - Rugby, Canada Tour, Hockey, Cricket, Tennis, Judo, Netball, Archery and Rock Climbing. 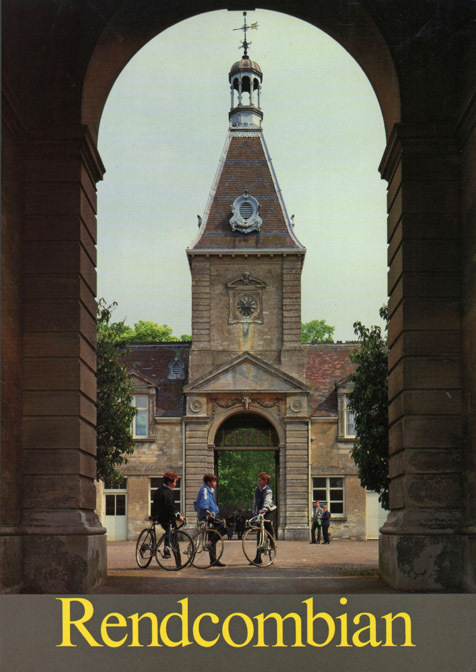 Rendcombian Magazine September 1990 (5Mb) 84pp Photograph Main College construction, Visit by HRH Duke of Gloucester, Retirements: Kaye Knapp, Denis Price, Matron Angela Ball, Viewpoint 30 Year recollections KJK, Viewpoint: Engineer's Travels, Arts, Craft and Music, Play: Animal Farm, Outings: Winter's Tale, City of Birmingham SO, Trip: Amsterdam, Sports Fixtures. 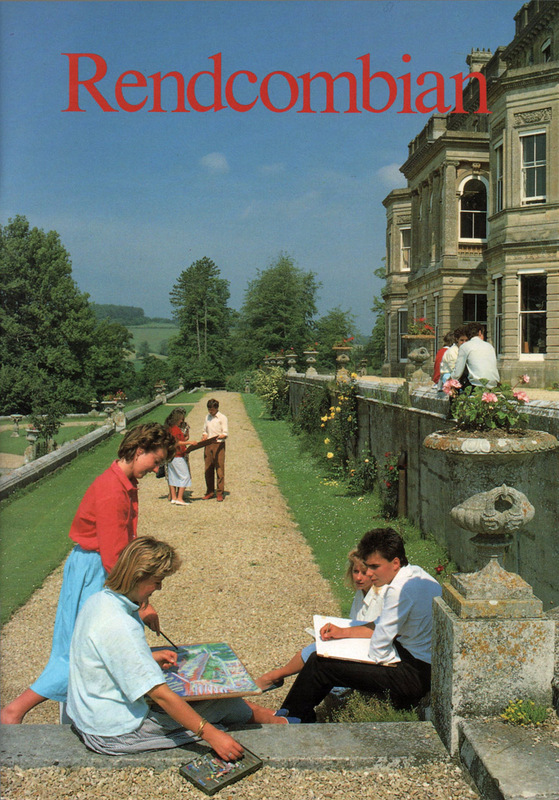 Rendcombian Magazine September 1989 (11Mb) 80pp Extension to accommodation of Stable House and Lawn House, Picture of an original design for the Main Building, Departures of Mr Mezzo and Mrs Manners, New director of music Mr D White, Recollection - Mr Cecil John Gough OR 1920-1925, Founder's Day Guest of Honour Baroness Helen Mary Warnock DBE, Upgrade to drainage system, Talks - Sandra Taylor in Somalia, Army as Peace-Keeper, Michael Wills Memorial Lecture on Parkinson's, Cults, Opera Workshop, Rock Climbing, Educational Links, Architect's View, Arts and Music reports, Plays: Much Ado, Nicholas Nickleby, Joking Apart, Genesis and all that!, Debates, Viewpoints - Into Europe, Outings: London, 42nd Street, Royal Academy, Cabinet War rooms, Sponsored Cycle Ride, Rugby Tour - Portugal, Black Country Ring by Narrowboat, Theatre trips: Romeo and Juliet, An Inspector Calls, To Kill a Mocking-Bird, Juno and the Paycock, Waiting for Godot, Midsummer Night's Dream, Guys and Dolls, Visit to RAF Lyneham, Scientists to Oxford, Sports Fixtures and Results. 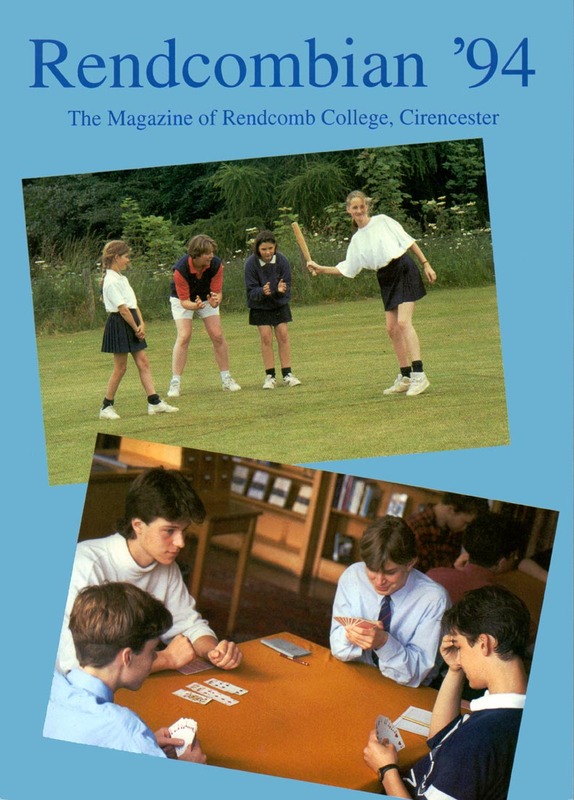 Rendcombian Magazine September 1988 (12Mb) 100pp Building of new Boarding Houses started, New Head Master - John Tolputt and wife Patta, John Willson retirement and performance of Beethoven's Eroica, Interviews - John Tolputt, John Willson, Richard Tudor and Nicholas Ridley MP, Mike Bews - Pilot, Tim Daniels - Green Beret, Founder's Day address by Admiral of the Fleet Sir Henry Leach, GCB, Parents' Association auction, Careers and Work Experience, Talks - Paradox of Prague, Weather on other Worlds, RAF Team, Comets, How to Start a Business, Media Questionnaire, Activities and Arts, Plays - Pirates of Penzance, The Real Inspector Hound, Music - Organ Recital and Farewell Concert by John Willson, Kate Ellis, Sponsored Walk fund-raising, Tony Partridge retirement, Computer systems update, Outings - Longleat, Macbeth at Stratford, Taming of the Shrew, Rebecca, Nigel Kennedy and Stephanne Grappelli at the Wyvern, Duke of Edinburgh, Canal Trip, French Exchange - Annecy, Visits - London, Royal Show, RAF Cosford, Sports Fixtures - Rugby, Hockey Cricket, Jersey 88 Tour, Tennis, Basketball, Squash, Badminton, Sailing, Judo, Fishing and Archery. Rendcombian Magazine September 1987 (13Mb) 101pp Retirement of Roger and Mary Medill, salutations and text of HM address, Founder's Day speeches from the Chairman and Mr Hamish Orr-Ewing, Election Opinion Poll, Profile of Mr Tony Partridge, Chaplain's Notes from Rev Peter Sudbury, Lecture: Professor JCR Turner, Talks: Norris McWhirter CBE, Captain FH Dell and Mr Elgood, Food Chain by Mr Oscar Colburn CBE, The Cult scene, Outings - Stratford A Midsummer Night's Dream, Fair Maid of the West, Henry IV part I, Henry V, KIss Me Kate, Twelfth Night, The Mechant of Venice, West Side Story, Outings: Slimbridge Wildfowl Trust, Portsmouth, Longleat, Birmingham Railway Museum, Ironbridge Gorge Museum, Duke of Edinburgh Gold Expedition, Black Country Canal Experience, Music, Anglo-Japanese Concert, Orchestral and Choral Concert, 'High Crisis', Mozart, Plays: A Midsummer Night's Deams, Ernie's Incredible Illucinations, The Wedding, Photographic Society visits the NEC, Rendcomb Film Unit, Old Rendcombian Society reprint, Sports Fixtures and Results - Rugby, Hockey, Cricket and Tour to Jersey, Squash, Tennis, Basketball, Netball, Badminton, Judo, Archery and Sailing. 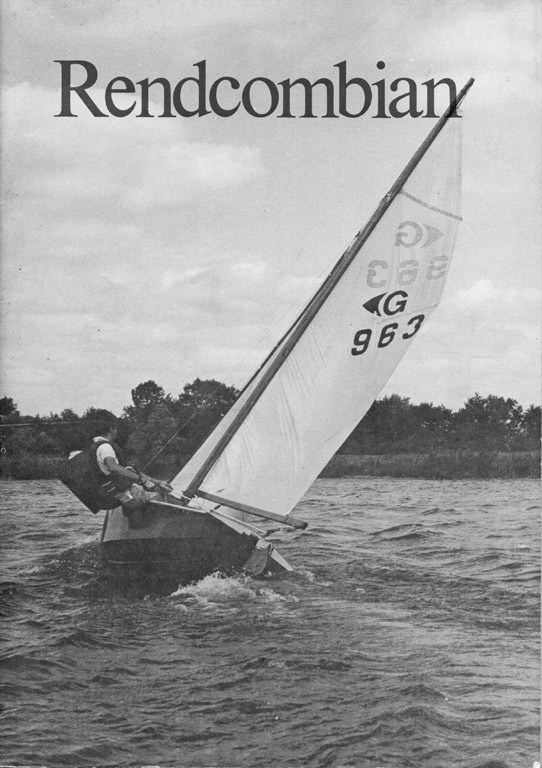 Rendcombian Magazine September 1985 (12Mb) 92pp Issue #3 Announcement of the death of Admiral Sir Richard Clayton; Article in Insurance of satellites with NASA photographs; Torquill Norman chairman of governors; Departure of Bob Roberts and Miss M Bliss teacher of bell ringing; News of ORs; HM Report by Roger Medill; Interviews - Major Peter Birchall, Sir Louis Le Bailly; Landage field before and after; Duke of Edinburgh; Trips and outings to RN engineering college Manadon, Portsmouth, Wookey Hole, Coal mine; Michael Wills Lecture - Listening to Satellites, Exploration of the Moon, Treasures of the Bodleian Library by David Vaisey; Woodworks and Arts reports; Plays - Twelfth Night, When Adam delved; Theatre - Hamlet; Sports Reports - Rugby, Hockey, Cricket, tennis, Squash, Netball, Sailing, Climbing, Sailboarding, Archery, Judo and Basketball. Rendcombian Magazine September 1986 (9Mb) 82pp Issue #4 Obituary John B. Fell Staff 1934-1973, Obituary Summary Charles C. Douglas-Home Governor 1981-1985, Address by Sir Patrick Nairne, GCB, MC, MA, Installation of self-service meals, Computer Room, Stables bridge repairs, Talks: Dr JK White, Hamlet workshop, David Kossoff, Ballooning, OUtings: Sponsored Walk, Biology Field trip, London, Greenwich, Longleat, Skiing- Obergorgl, Plays: HMS Pinafore, Oliver Twist, Rendcomb History and first policeman, Sports fixtures and Results. 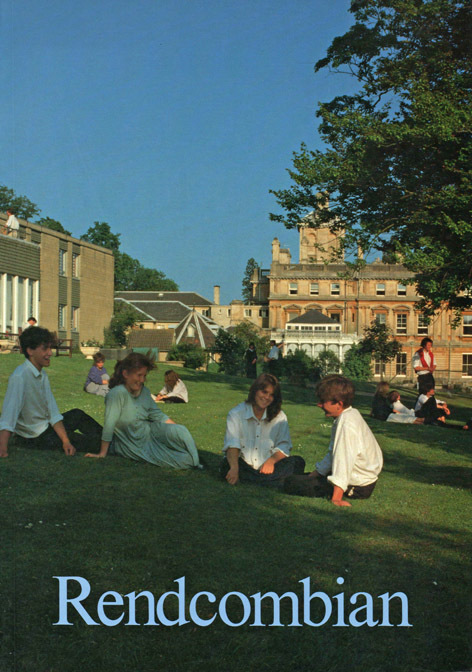 Rendcomb College Chronicles and Magazines are saved in The Old Rendcombian website Magazines and Chronicles page. 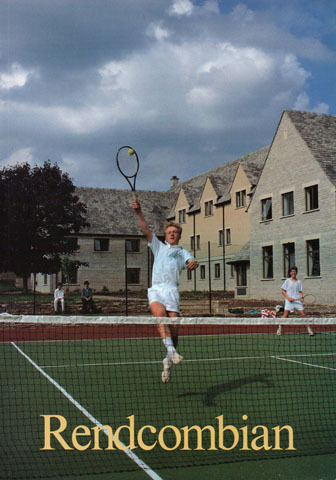 Other Rendcomb Magazines and Chronicles will be added as they become digitized, improved and converted to Adobe pdf documents. 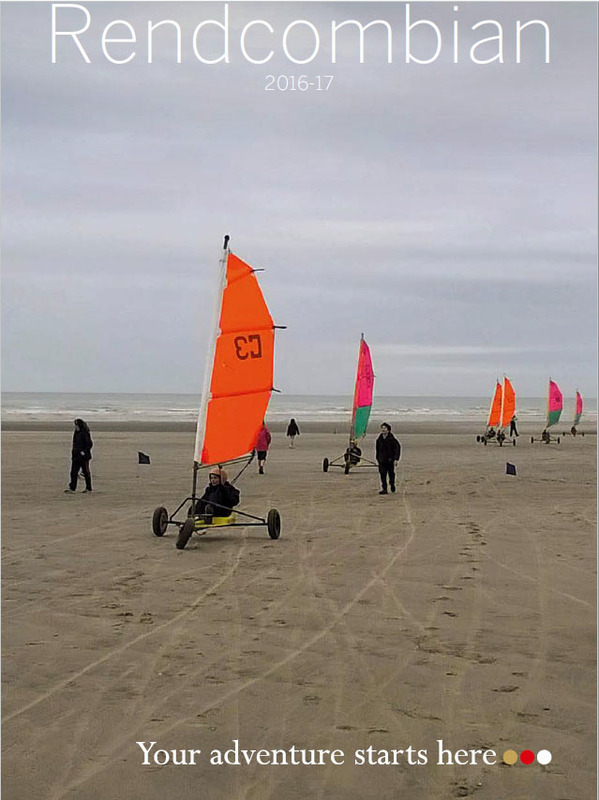 please get in touch using the Webmaster link below. You may prefer to bring them along to an OR Day and hand over in person.